How are we already in December? This year has definitely creeped up on me but I am prepared and fully in the Christmas mode. 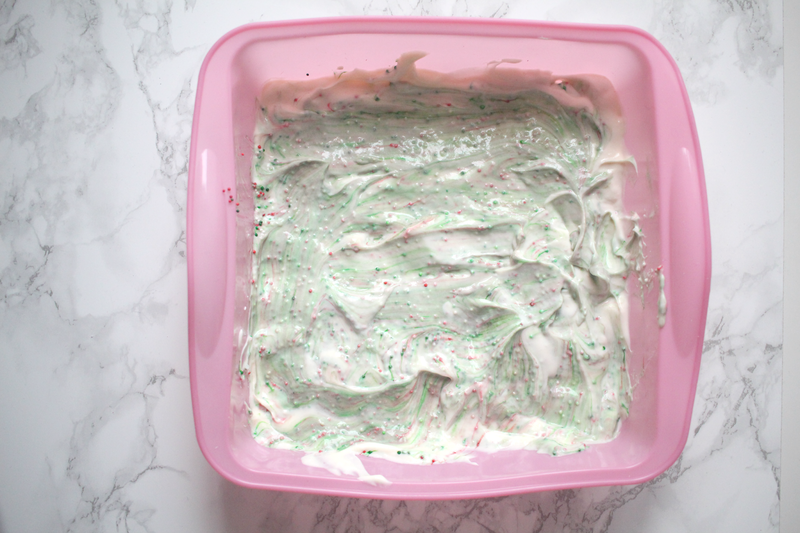 On my festive bucket list this year I wanted to create some festive themed treats for the kids to enjoy. Amelia breaks up for the holidays on the 15th so we have a good week before Christmas to enjoy this year and I want to make the most of it and do lots of festive activities. 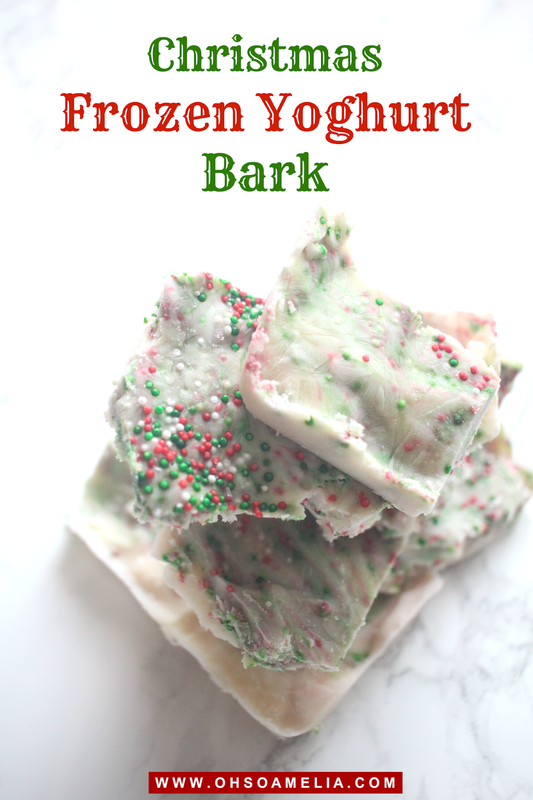 I thought this Christmas Frozen Yoghurt Bark recipe would be perfect as it's so easy to make and tastes delicious. Amelia loves to help out in the kitchen and often asks to bake cupcakes with me so I knew she would enjoy making this with me. 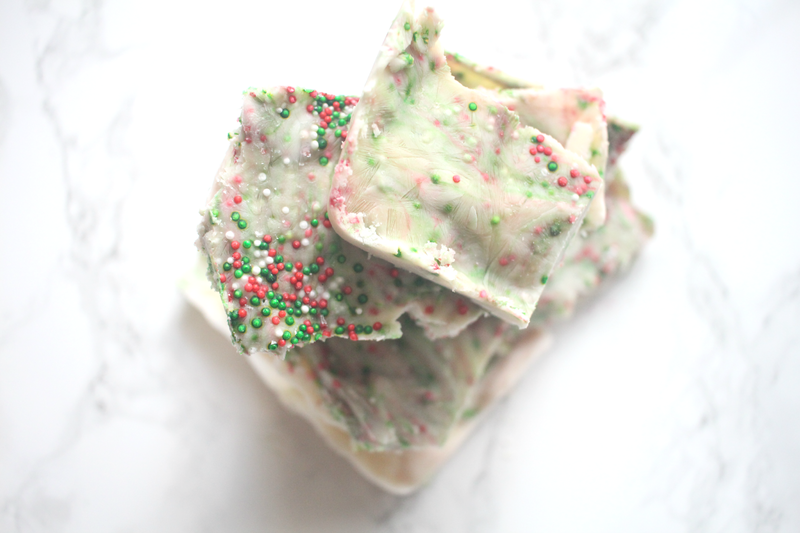 I have made chocolate and frozen yoghurt bark a few times in the past with fruit but I thought I'd take more of a festive twist on it as it is December after all but still wanted something healthier than chocolate. 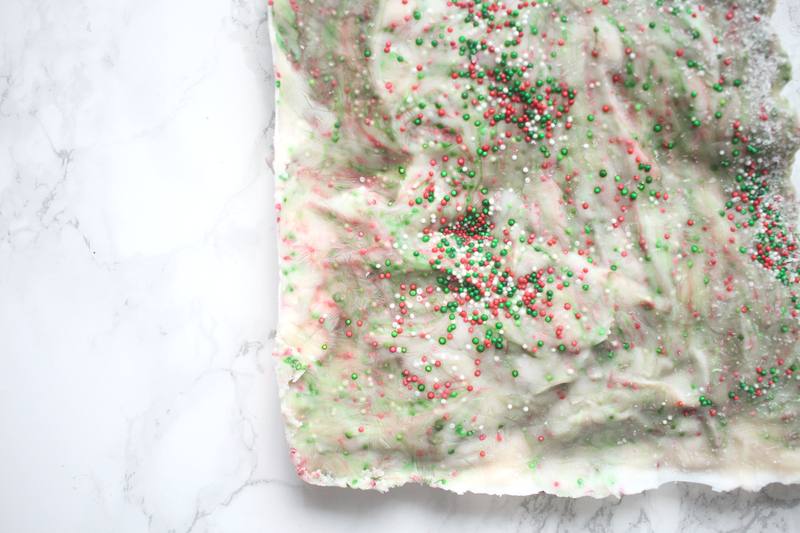 This recipe is so easy to make and you only need two ingredient it's that simple! 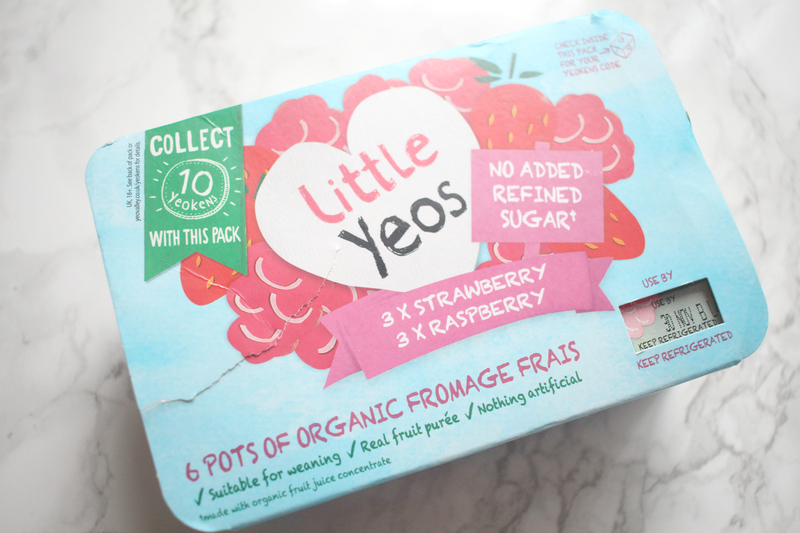 I used Yeo Valley Little Yeos yoghurt to make this as they contain all natural ingredients, no nasties which is ideal for developing those taste buds from the beginning. The kids love these yoghurts and Harry has been having them ever since he started weaning. However you could use any yoghurt you like really or even greek yoghurt and add some honey to make it sweet if you like. 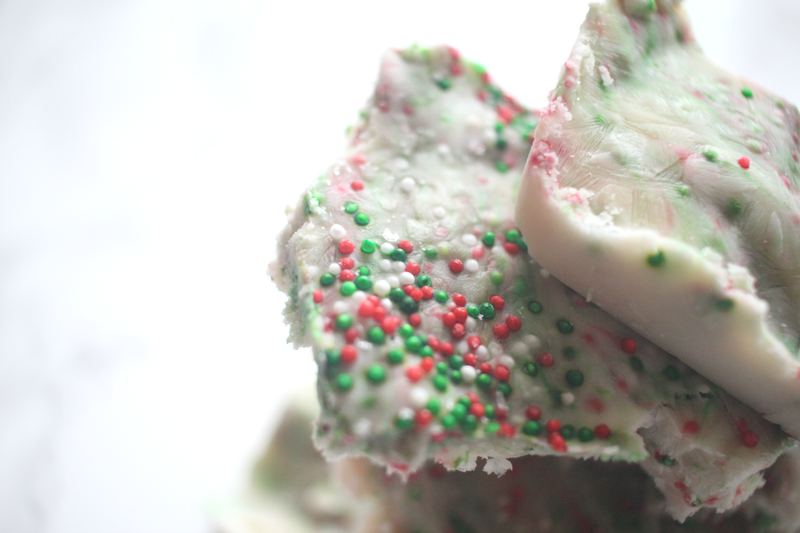 If you have never tried frozen yogurt bark then you definitely should. It is a tasty and healthy snack but be warned – it can get messy! 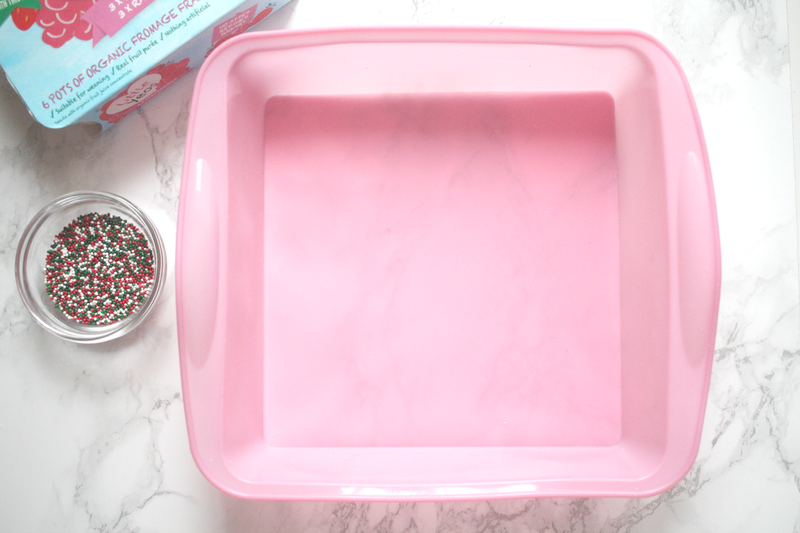 To begin you will need to use a lined baking tin of any kind however I used this non stick silicone baking tray as I didn't have any baking sheets and it actually worked out really well. You'll then need to pour the yoghurt into the tray. It needs to cover the whole base but not be too thick and not thin so that it would break. Next up decorate the yoghurt with your choice of treat. 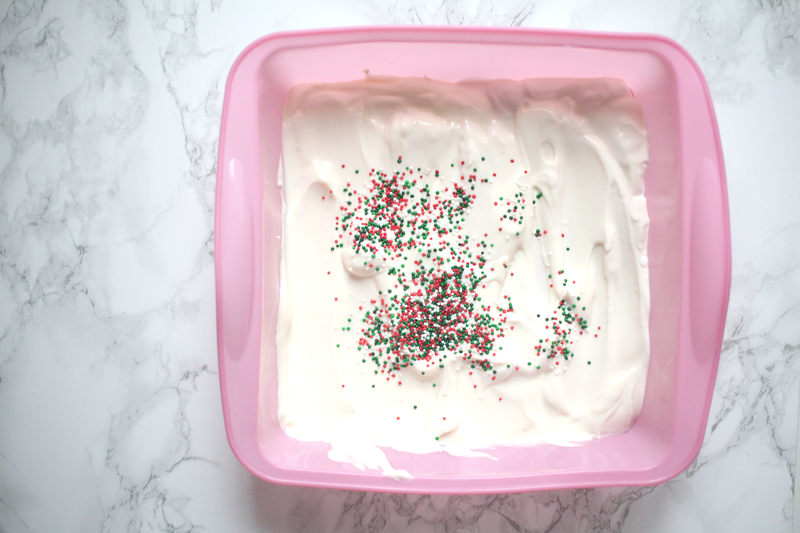 We went for christmas coloured sprinkles however you could use fruit, chocolate m&m's... the choice is yours. But maybe not too much otherwise it will look like this. Woops! 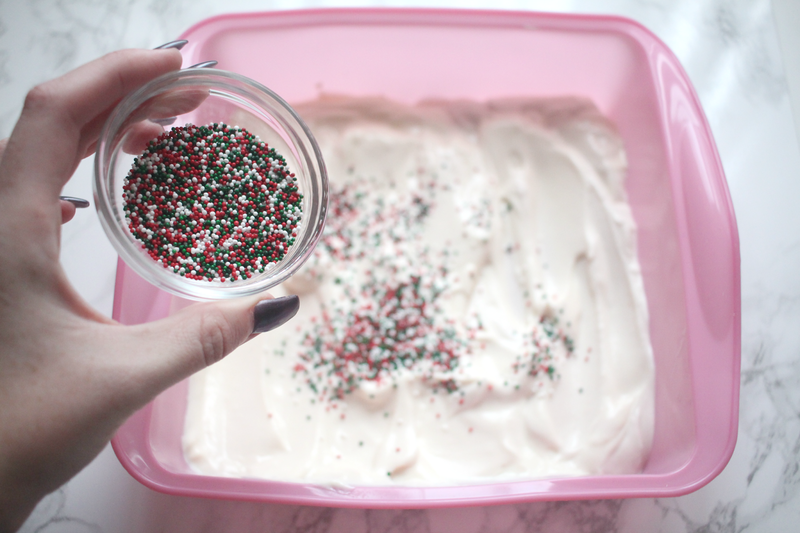 We added some more sprinkles on top after mixing. 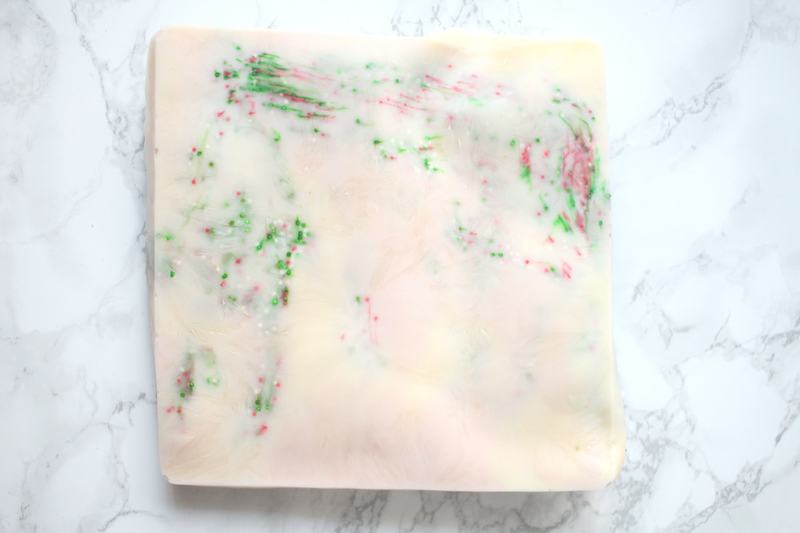 Then put the tray in the freezer for around 3-4 hours. You can leave it for less or longer but keep checking as it may depend on the size of your dish. 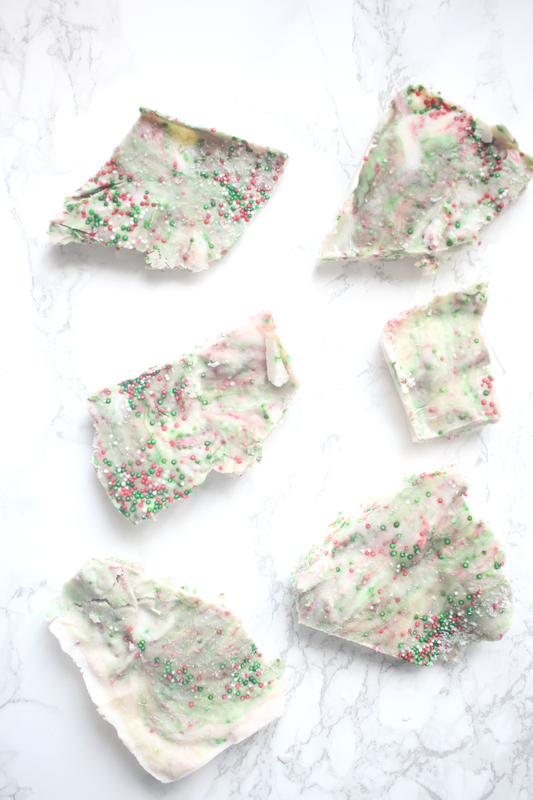 When ready remove from the freezer and cut them up into little bite size pieces. The yoghurt will start to melt pretty soon so be sure to eat them right away! You could even pop some into ziplock bags if you have any left. 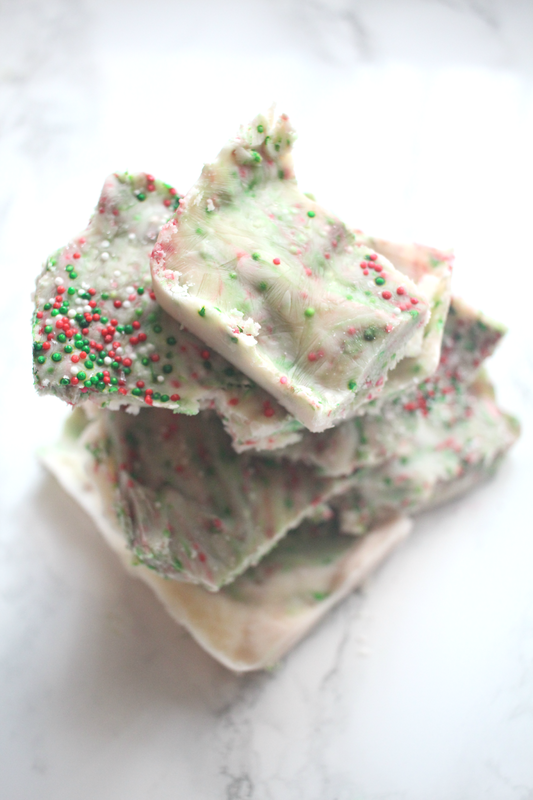 Amelia loved making them and both the kids enjoyed devouring them after school. They're the perfect afternoon snack, you know when its not quiet dinner time yet but the kids are begging you for food. The great thing about them, even though there are made with sprinkles I know that it is made with Little Yeo's yoghurt with no refined sugar and completely natural ingredients. 6 pack fruited Fromage Frais - There are 4 recipes in this range. Made with creamy organic fromage frais and organic fruit purées. There’s no added refined sugar so they’re ideal for weaning tiny tots. There’s also two 4-pack yogurts (one of these is a limited edition) – these are just the job for bigger children’s appetites. Creamy Yogurt, some puréed fruit (real organic strawberry, raspberry, apricot or peach) and just a little bit of organic sugar. 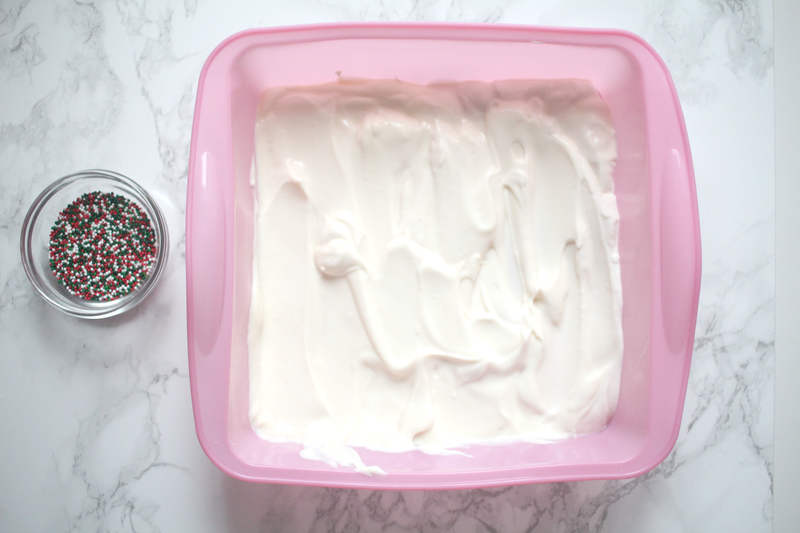 A yummy snack for the kids and a refreshing twist on eating yoghurt! What a cute, clever snack for kids! My kids will love this, and it will be perfect for our family Christmas party. So pretty and festive, too! Such a great recipe for kids! 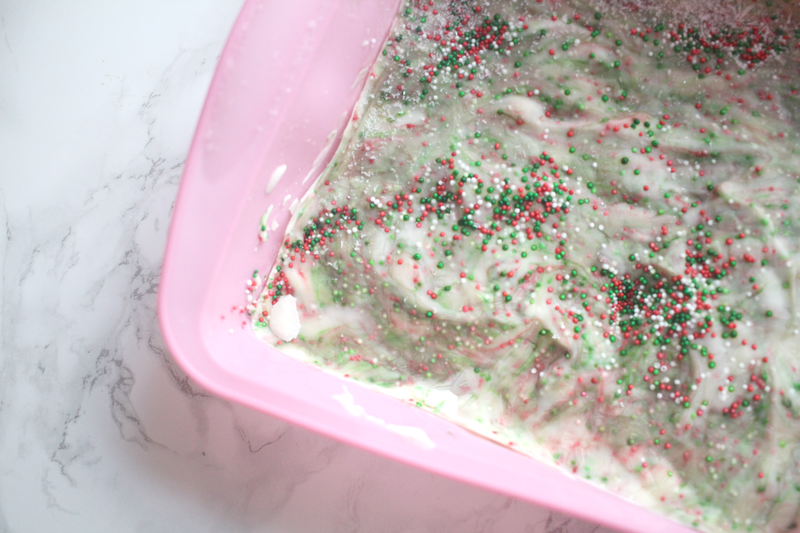 Def need to make this! These look so cute! What a fun idea! Thank for your post! It is easy to understand, detailed and meticulous! I have had a lot of harvest after watching this article from you! I feel it interesting, your post gave me a new perspective! I have read many other articles about the same topic, but your article convinced me! I hope you continue to have high quality articles like this to share with veryone! Good luck!